An interim pastor, hired for one or two years, may be a supply pastor who preaches and provides pastoral care, or an intentional interim pastor who helps a congregation work through difficult issues. In Mennonite Church Eastern Canada, some pastors are hired as transformational ministers for three to five years, with the intention of changing the congregation’s culture. In MC Eastern Canada transitional ministry is strongly supported. “We try to advocate and encourage interim ministry in most of our congregations when they are in transition,” says Henry Paetkau, regional church minister for MC Eastern Canada. 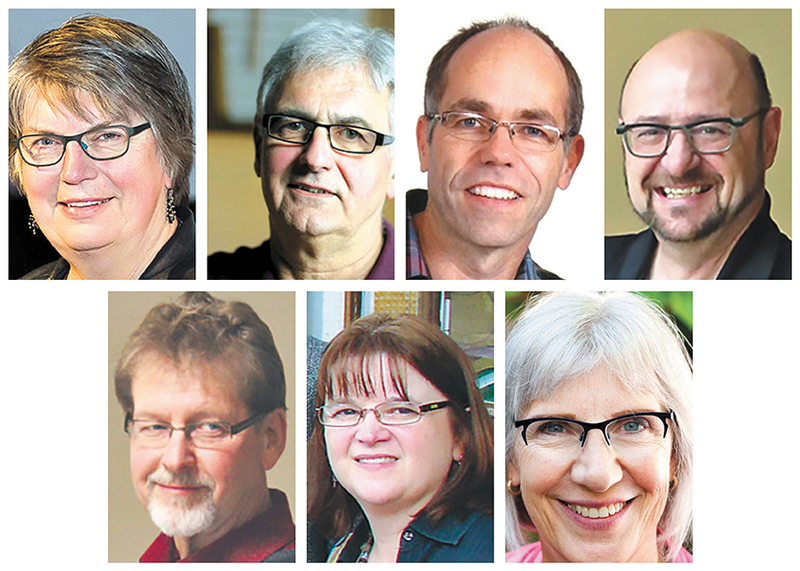 At any given time, says Paetkau, the regional church may have eight to 10 interim ministers in place. Neufeld also encourages MC Manitoba congregations to consider interim pastors. “I think there would be good reason for every congregation to have an interim minister,” he says, “but not every congregation chooses to do so.” In the past year five MC Manitoba congregations had transitional pastors. Further west, engagement of an interim minister depends on availability. “If we had more available interim pastors we might use them more frequently,” says Tim Wiebe-Neufeld, MC Alberta’s executive minister. Alberta congregations have sometimes looked beyond their borders as well as beyond their denomination for interim ministers. 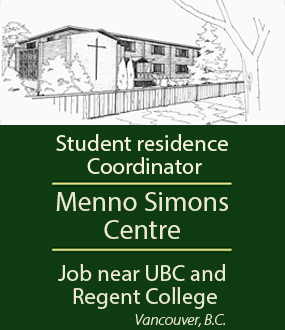 Edmonton First Mennonite Church, for instance, currently has an interim pastor from the United Church of Canada. Following the departure of a long-serving pastor. In such cases, congregations may hope their new pastor will either be just like a previous, much-loved pastor, or the exact opposite of a pastor congregants have grown tired of. In this case, an interim pastor can provide space to reflect on and celebrate what was, and prepare for what is to come. When a congregation considers closing its doors. If an aging or dwindling congregation feels it can no longer continue, an interim pastor may be called upon to guide it toward closure. On the other hand, an interim pastor may breathe new life into such situations, helping congregations re-invent themselves. Grace Mennonite Church, in St. Catharines, Ont., hired Waldo Pauls as an intentional interim pastor. Congregational chair Ted Kopp says the church thought Pauls would “assist them toward a peaceful termination.” Instead, his presence rejuvenated the church. “He made us feel like we could still accomplish things,” Kopp says. Today the congregation employs David Brubacher as lead minister and Doug Schultz as outreach pastor. There are likely as many reasons for being an interim pastor as there are interim pastors. For some, the short-term nature of the commitment is attractive. 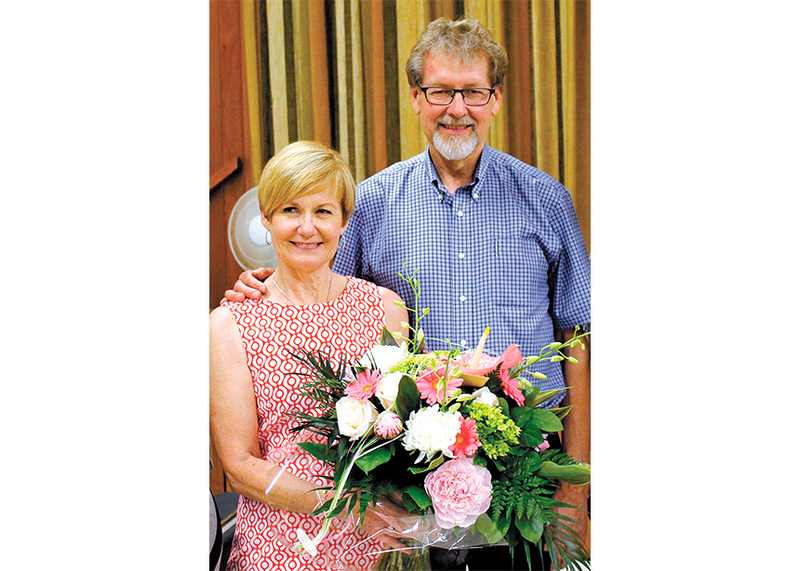 After eight years as executive director for Mennonite Central Committee (MCC) Saskatchewan, Claire Ewert Fisher longed to return to pastoral work. But, she says, “I didn’t know if I had the energy to get into full-time, long-term ministry.” A one-year, half-time position with Grace Mennonite in Prince Albert, Sask., was just right for her. Similarly, Wanda Roth Amstutz found the short-term nature of interim ministry appealing as a way to re-test her calling after a stint with MCC in Ethiopia. Bechtel echoes Miller’s viewpoint. “In interim ministry the attraction is that you get to see some things happen in a congregation. There’s excitement around that,” he says. Inherent in transitional ministry is the assumption that difficult issues are on the table, which can also be attractive. As Bechtel points out, in long-term ministry a pastor can spend many hours just getting permission to tackle those difficult issues. In transitional ministry, tackling difficult issues is one of the things the pastor was hired to do. Besides the dynamics of human relationships, there are other challenges that come with the territory. An interim pastorate may require either commuting or uprooting one’s family. For this reason alone, younger pastors may not be drawn to the work. But if transitional ministry attracts more experienced pastors—pastors nearing or already enjoying retirement—this may stand congregations in good stead. Brubacher points out that depth of experience is essential in dealing with critical issues, especially when congregations have experienced conflict. While experience is helpful, transitional pastors also value the training they have had. Many have availed themselves of courses offered through the Interim Ministry Network based in Baltimore, Md. In B. C., both Janzen and Binnema participated in a course offered by Delta-based Outreach Canada. Brubacher trained as a clergy coach with Rob Boyle of the Clergy Leadership Institute. 1. Have you ever felt that you were “in the wilderness” when your congregation was between pastors? Why do some congregations keep their pastors for a long time and others are always changing? 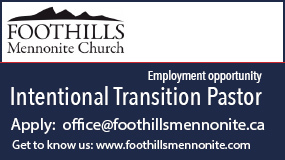 Does your congregation look for a transitional pastor between long-term pastors? How can an interim pastor play a beneficial role? 2. Donna Schulz quotes Harold Schlegel as saying, “If congregations don’t take time to do transition well, the next pastor is very short-term.” Does this match your experience? Why might a lack of transition time shorten the next pastor’s tenure? 3. Do you know congregations that have experienced significant conflict during the time of a pastoral change? How could an intentional interim pastor have helped deal with the situation? What skills are important for intentional interim pastors? 4. 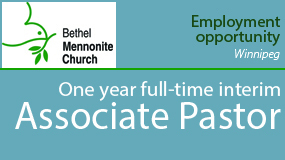 In previous centuries Mennonite ministers were chosen from within the congregation (by lot in some traditions) and were generally not supported financially. How does your congregation choose a pastor? How does the way a church leader is chosen change the expectations of the role? What are the advantages and disadvantages of having the congregation employ the pastor? We have attended as members in more than one M.B. congregation since taking the step of faith to follow our Lord. During those years, for which I am grateful, I have never felt as though I or the congregation was in limbo or in a proverbial wilderness. I accepted it as a learning and education opportunity for both the interim, next pastor and congregation. Another aspect to this is the persistent attitude in our Mennonite circles to resist training and teaching the next generation, whether it's in business or church environments to prepare the next generation to accept the "torch" in the race of whatever context is applicable. It seems to me that if a person obsesses over his position or career and refuses to deal with his insecurities, then this ugly head of power and selfishness will reveal itself. I say this knowing and admitting that no person or church is perfect. In addition to many good points in this article, I would add that one of the chief aims of the transitional ministry is to help the congregation understand who they are, apart from any particular pastor, understand what direction they feel called, as a community of believers, and then be able to call a pastor who is excited to lead them in that direction. I would also add that a transitional pastor must make significant personal sacrifices that are not always seen by the congregation. It is not easy to build all those relationships and then walk away. Often the spouses of transitional pastors want more stability, so they continue to worship at their own "home" church. This is not work that is right for everyone.